The latest medical research findings, review articles, and editorial opinion on a wide variety of topics of importance to biomedical science and clinical practice, from the most trusted name in medicine - The New England Journal of Medicine. - Recent articles – published online in the last 7 days, including research, reviews, commentary, and case materials. - Images – classic images of medical conditions from Images in Clinical Medicine. 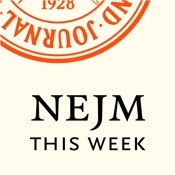 - Audio – Weekly audio summaries and a selection of four full-text audio reads of Clinical Practice articles, streamed directly to your iPhone or iPod Touch (internet connection required). - Video – A selection of four procedure videos from Videos in Clinical Medicine, streamed directly to your iPhone or iPod Touch (internet connection required).